On October 26th, 2017, at the Almaz Convention Center in Vinhomes Riverside Long Bien, the National Center for Water Resources Planning and Investigation (NAWAPI) in collaboration with the German Federal Institute for Geosciences and Natural Resources (BGR) and the University of Mining and Geology held the Closing Ceremony of the IGPVN 2015-2017 and the International conference on sustainbale development of Groundwater. 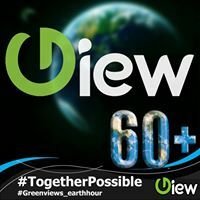 The Event has gathered more than 100 people from the Ministry of Natural Resources and Environment, Department of Water Resouces Management, managers, international and national experts, University professors and scientists from various institutions. The first session witnessed the closing ceremony of the IGPVN project phase 1 (2015-2017). 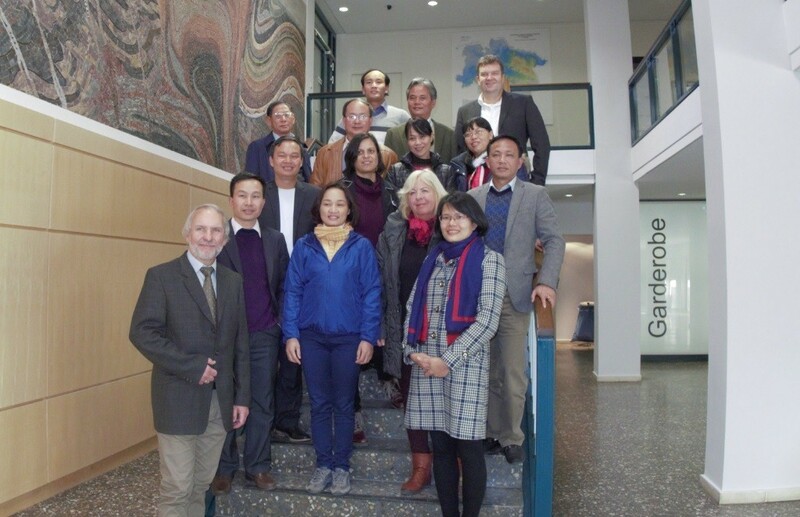 The project “Improvement of Groundwater Protection in Vietnam” (IGPVN) is a technical assistance project funded by the German Government for Vietnam and managed by the German Federal Ministry for Economic Cooperation and Development (BMZ). 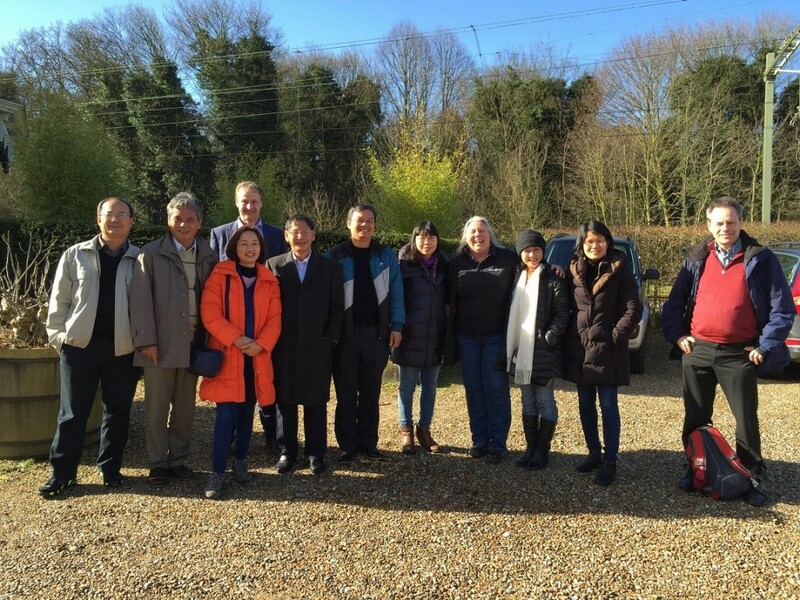 BGR is commissioned to carry out the project in Vietnam in cooperation with NAWAPI. 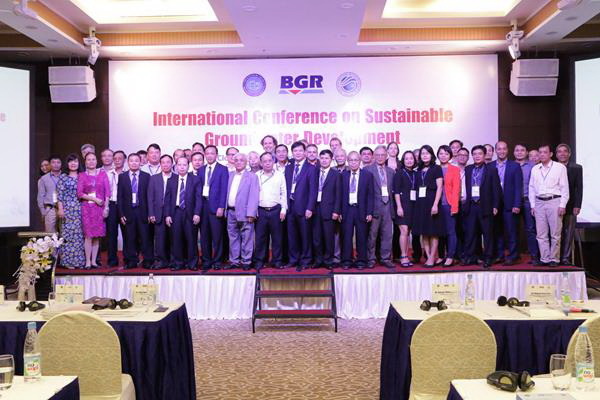 The IGPVN 2015 – 2017 is under the bilateral development cooperation between the two governments, and is a part of the program “Integrated coastal zone and mangrove forests protection adapting to climate change” by BMZ to support Vietnam’s Green Growth Strategy for 2011-2020. With the objective of technical assistance and capacity building in the field of groundwater resources, IGPVN project belongs to one of the three priority fields: environmental policy and sustainable use of natural resources, energy and vocational training. Speaking at the Closing Ceremony, Dr. 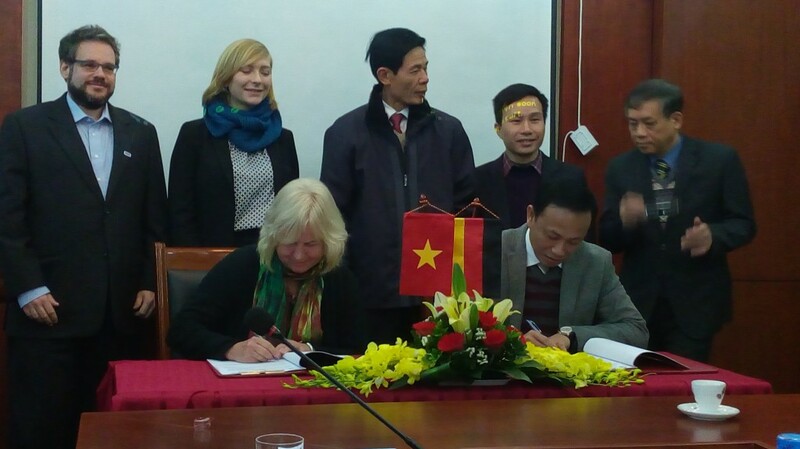 Vu Thanh Tam – Vice Director of the Project Management Unit has addressed the appreciation to the German Government’s long-term support to Vietnam and the coordination of various central governmental agencies and the authorities of the selected localities. Starting in 2009, IGPVN has been implemented in different provinces, established groundwater monitoring infrastructure and improved capacity of groundwater resources monitoring and management in Vietnam. In the period 2015 – 2017, IGPVN has been implemented and achieved its setforth objectives in all the four components namely Policy Consultancy; Technical assistance; Capacity Building and Awareness Raising. Attending the Closing Ceremony of IGPVN 2015 – 2017, representatives of BGR – Dr. Roland Baeumle shared the viewpoints on the difficulties and challenges faced in the management of coastal aquifers in areas of high population and increasing demand for water, which have led to many consequences for the local aquifers (saltwater intrusion, pollution). IGPVN is a long-term cooperation between BGR and NAWAPI, in which BGR endeavors to assist NAWAPI in implementing solutions for the improvement of legal regulations in the water resource; improving the understanding of the aquifer system in the project areas and developing the capacity and raising awareness of the stakeholders. 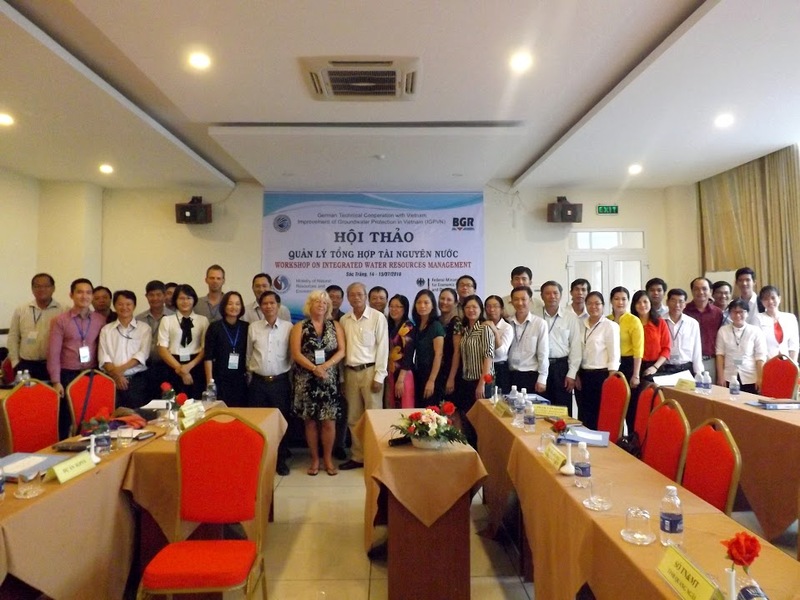 Technical assistance activities implemented by IGPVN in Ca Mau Province were summarized and reported at the Ceremony by Dr. Armin Pechstein – Hydrogeological expert, in charge of the project’s technical assistance component. With professional support from BGR, in 2016, IGPVN designed and constructed a borehole cluster in U Minh Town – U Minh District and conducted field aquifer tests using advanced techniques and equipment to study the aquifer characteristics in the area. The initial analysis and evaluation results showed that the aquifer system in the study area was highly anisotropic and heterogeneous. Hydraulic connections between the local aquifers were also confirmed by IGPVN research. Those results will be elaborated in a Scientific report. The activities and results of IGPVN in the other components were presented by Mr. Florian Jenn – Hydrogeological expert, Acting Project Leader. Two Technical Guidelines on urban groundwater have been developed by NAWAPI with professional support from BGR experts. 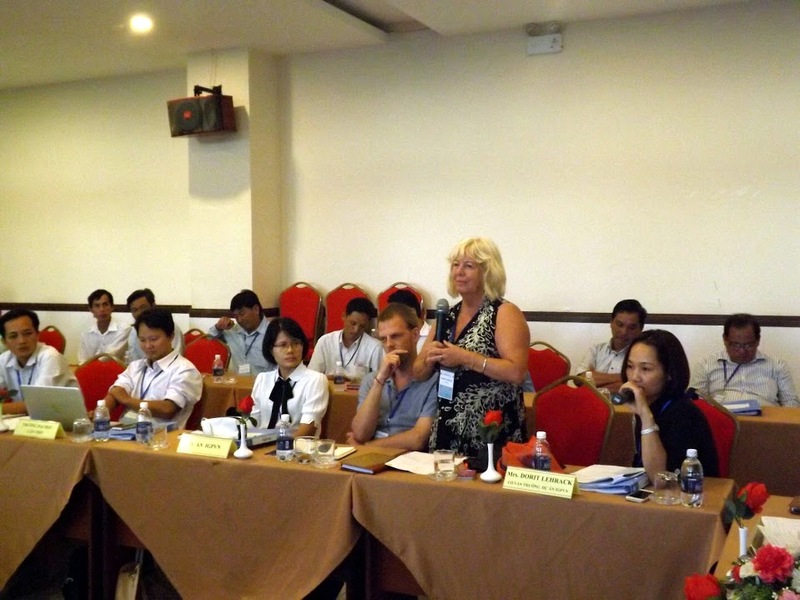 Two Guidebooks on water resources were compiled by the IGPVN team in cooperation with Soc Trang DONRE. Many activities to raise awareness on water resources have been organized for various subjects, from university students, high school students and teachers to local authorities. At the end of the Ceremony, the products of IGPVN 2015-2017 were handed over to NAWAPI representative. 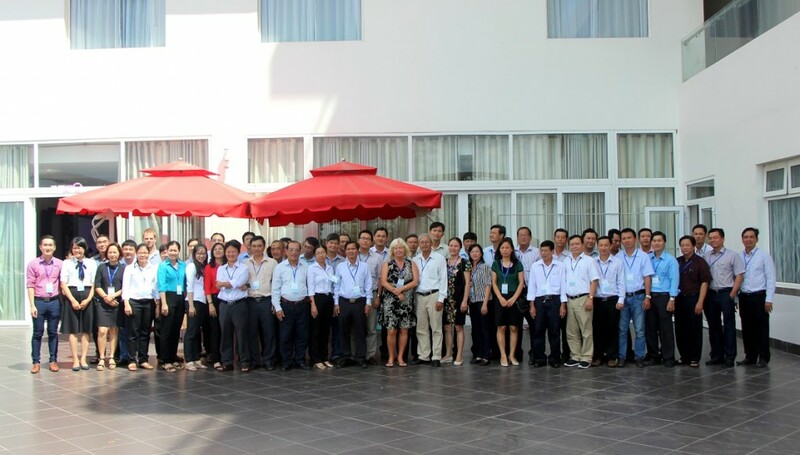 Session 2 of the conference included the presentations by the senior experts of Vietnam and international specialists on various hydrogeological studies in Vietnam for the last decades. More than 10 presentations are the description of various research projects at different scales, drawing a good overview of the hydrogeological pictures of Vietnam. The conference is a milestone for the completion of the phase 1 of the project and the base for the NAWAPI to start with the procedure to activate the 2nd phase, which has been approved by the German and will start in January 2018. 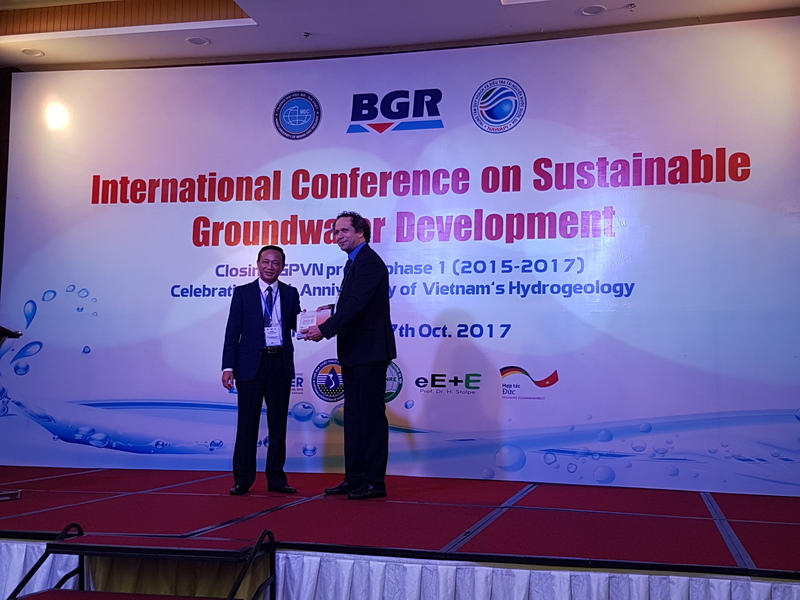 The conference is also the recognition of the contributions by the IGPVN during the last 10 years cooperation between BGR and NAWAPI on groundwater protection in Vietnam.